I am going to share with you one of the most important advices for a content creator of 21st century. 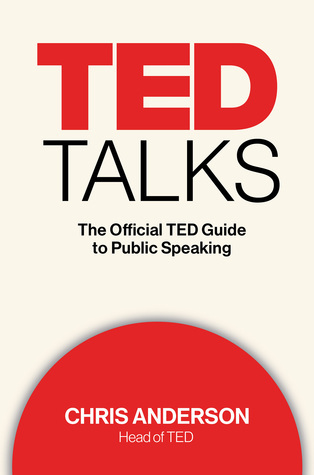 Inspired by TED Talks – The Official TED Guide to Public Speaking book (definitely recommend, you can purchase a hard copy, e-book or audiobook/audible here), I decided to write a post on – probably – the key factor of any successful author. I had known this advice for years, but implemented it only recently and the results are astonishing. Whether you are a public speaker, teacher, journalist, student, blogger, office administrator – this short advice will change your life. We are all living high-paced life, bombarded with newsfeeds and suffering from short attention span. People will read or listen to you only when their valuable time is respected. In few minutes convey your a message in a way nobody did before in order to gain the attention and gratitude of an audience. Be efficient. You will be surprised how much you can teach others in only 10mins of their time. After you finish writing, read your work multiple times and every time cut on words, make connections and minimalise baffling. Try to get clear conclusions after every paragraph. Make it simple, amusing and informative, show your personality but never assume that anyone will enjoy it for too long. Intrigue, not intrude. While preparing a presentation, say it out loud to you friend or record yourself and re-watch it. Become aware of your “uums” “likes” and “I thinks”. Rehearse not only the speech but also your stage movements. And if you think you got it right – rehearse again with loud noises in the background. Spend more time on creating valuable content, rather than typing or telling countless stories of your life. Try to show an interesting situation in a surprising and engaging way instead of only following a chain of events. In the end, it’s not the story that counts but your audience’s reaction. This also applies to students. Lecturers and examiners are busy, they have tons of papers to read. They have families and hobbies too, so appreciate their lifestyles. Show them the essence of your thoughts, not the whole thinking process. Structured, concise and detailed work will stand out and get you higher marks. Quality over quantity, always. How many times did you start reading something and quit half-way through because the writer bored you to death? Do you tend to skip videos in which peoples’ “yyym” “you know” is off-putting? I came across a lot of bloggers, who fill their Instastories with tragically structured multiple videos, which content could be told in three sentences. I instantly skip those accounts. Most of us do. Remember, it’s your piece of work – articulate your thoughts clearly, especially if you want to earn money on that. Where did I apply the cutting advice? Dissertation. I went way over the words limit at first, but quickly realized that half of the results section may be shown in a form of a table. Slashed my word count by a third and saved room for a discussion. University presentation. Recently we had a seminar when everyone had a randomly chosen paper to present in 8-10mins. I decided to design my publication as a series of 4 questions and answers asked by the researchers, leading to the final result. Conveyed an understandable and detailed highly scientific information with good timing and humour. Literature review (work in progress). One of the most problematic type of courseworks, because it requires a lot of preparation. For this essay I needed to be an expert on glioma (brain tumour) knowing all the recent research advances to date. My first draft will be about 1000 words over a limit. Next, I am going to cut, cut and cut on everything what does not bring the essential value to my work. Then cut again. Don’t present to others what you wouldn’t enjoy yourself. I grew up being taught to use as many words as possible. To describe things with as many adjectives as I can think of. Often times I over-write, because I’m aware not everyone knows exactly what I’m talking about. But I am aware of the benefits of what you wrote about. All this leaves me confused at times, and so I just go with what feels right at the moment. Internet advertising still hasn’t learned this. You can skip the add in 5,4,3.2.1, and in five seconds if you still have no idea what they are selling, they have failed. Yes, this applies to internet marketing too, I’m surprised they are the last ones to learn! I just watched this video and I have to say this is the essence of what I meant by this blog post! To keep the message short and make it flow seems like a great skill to have nowadays.